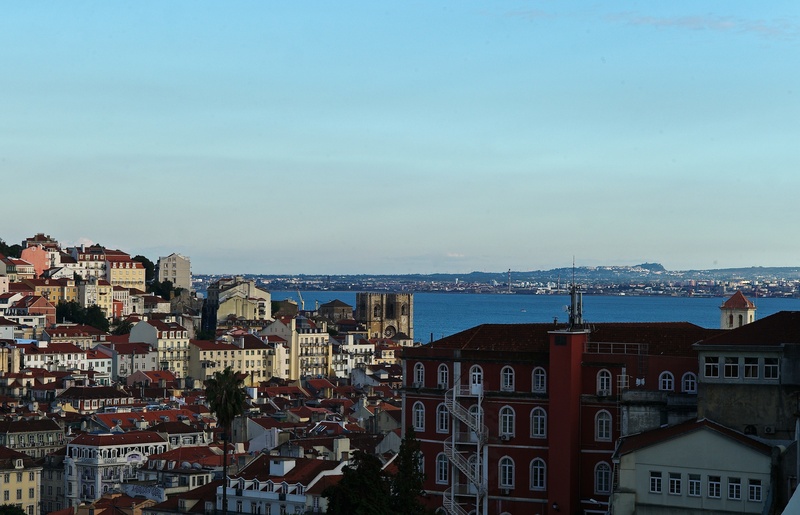 Our Portuguese school in Lisbon has been offering full immersion language instruction for over 40 years and is centrally located in an upscale residential and business district. You are a quick walk to many of the popular sites in the city within 30 minutes from the Castel of Sao Jorge. We offer both group and private instruction or a combination of the two through full Portuguese immersion. The Portuguese language school is housed in an office building with 20 classrooms with modern amenities and media to guide the class. You will also have free WiFi service onsite You will also have the opportunity to take part in a variety of activities outside of class which will help you develop your Portuguese language schools in everyday scenarios, while visiting popular sites in Lisbon including museums, major monuments, and student gatherings at popular night spots. Excursions are arranged on Sundays at an additional cost to sites within the region, so you can explore other parts of Portugal. While learning Portuguese, the host family arrangement is the best means to practice your language skills in a practical setting. The Portuguese school offers this great option along with other student housing arrangements based on your personal preference. The school is within close proximity to a metro station to make transportation to other parts of the city affordable and easy. You will study Portuguese in a group setting with no more than 8 students in the class. Each lesson is 50 minutes, so consider a total day to include 3 hours with breaks included. Courses will focus on conversational Portuguese with students placed according to their appropriate level based on an initial assessment. The Group Plus Program is based on the standard course with 2 additional hours of workshops including conversation, vocabulary drills, practical scenarios, grammar, and presentations. These workshops will provide a further means for you to develop and practice your Portuguese language skills. The combined course takes the standard group course with 3 lessons per day and adds 1-3 private lessons where you can focus on your personal needs whether it be better developing any weaknesses noted in the group Portuguese course or focusing on field specific terminology. Private Lessons are customized to your personal needs and are guided by the schools curriculum combined with any customization that may need to be required to best utilize your time in class with your own individual Portuguese instructor. This course can be arranged through private instruction with a focus on Portuguese spoken in specific African countries and/or Brazil, so that you may focus on the unique Portuguese Dialect of these locations. This very unique course offering provides 2.5 hours of surf instruction per week at a local beach with transportation and equipment provided. Students can choose between 2 or 4 outings over the course of a 2 week period. Different beaches will be utilizes, so that you can experience a variety of surf. Scheduling is arranged around the standard group course based on weather conditions. This course runs from April to September. Use start dates below. Portuguese Language Classes start on any Monday for all levels except Beginners. Housing arrangements will start on a Sunday and end on a Saturday, with Friday night includes at the end of your program. The Portuguese host families that support our program in Lisbon have been utilized for many years offering a great opportunity to practice Portuguese with hosts that are experienced in helping students progress outside the classroom. You will have your own private room. Host families are generally within 10-20 minutes by walking distance or public transportation. Your host family will provide breakfast each day. Students that would like to not live with a host family can stay with other students in a shared student apartment with their own private room. You will share the kitchen, bathrooms, and other facilities. African and Brazilian Dialect instructors for specialized private instruction upon request.